We started Timestoppers Hawaii three years ago. Three…long…years. 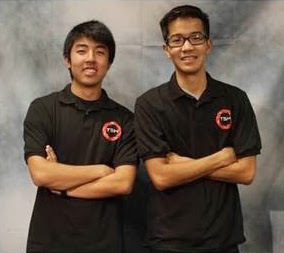 It was a different time back then; we were still in school, didn’t have any experience running a business, and definitely had less facial hair. Without any idea what we were doing, we set out on this venture to create a memorable experience for people using this amazing technology. Honestly, we just thought it was super cool and needed an excuse to take 360 videos of ourselves. But even more than that, we wanted to be able to share the experience with the masses. With a lot of help from our amazing family and friends, we were able to launch Timestoppers Hawaii in early 2013. Since then, we have been incredibly lucky and been able to work with some amazing people. Every event we have been at has been special, from the small 100-person weddings to the huge trade shows like VidCon and Comic-Con. As each event went by, we’ve learned more and more about ourselves and this business. Thanks to the incredibly generous and supportive people we’ve met, our business has been able to achieve our goal of bringing this awesome technology to the masses. But even with everything we’ve accomplished, we think we can do more. Timestoppers Hawaii has also been a proof-of-concept. We wanted to prove that we could use this technology that we loved to bring amazing activations to these events. And we’ve done that. Now it’s time to evolve and bring some change. 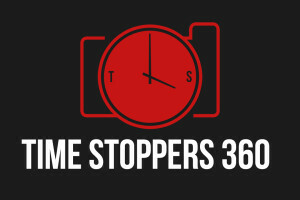 Without further ado, we would like to announce the launch of Time Stoppers 360. That’s right folks, we finally learned how to spell properly! In addition to our new, spell-checked name, we are also bringing a new vision. While we will always love our roots in Hawaii, we didn’t want to leave everyone else out on the fun. We hope to be able to bring this technology to everyone, so they can have as much fun as we do. New name, new logo, new outlook…oh and hopefully you’ve had a chance to peruse our new website! We feel the cleaner, slicker look will fit our company much better, while making it easier to navigate. We’ve also made some advancements to our tech, but you’ll have to experience that for yourself. Hopefully you will all be as supportive for this new iteration of our company as you’ve been all these years! We look forward to what the coming years have for us. It’s been a hell of a ride so far, but it’s just getting started. Watch out world, Time Stoppers 360 is coming for you…and this time we double checked our spelling.